That's right folks, Popcap's ever so popular Plants vs Zombies Garden Warfare game is coming to PS3 and PS4 on August 19th, after already being released on PC and Xbox One/360 with pre-orders open now. By pre-ordering the game, you'll get a few goodies to go along with the game. These include two in-game digital card boosting packs, and some playstation themed goodies to dress up your plants or zombies. This will also include hat packs from a few various popular Playstation titles including Ratchet & Clank, Sly Cooper, and Fat Princess games. The game is rather simple to play. 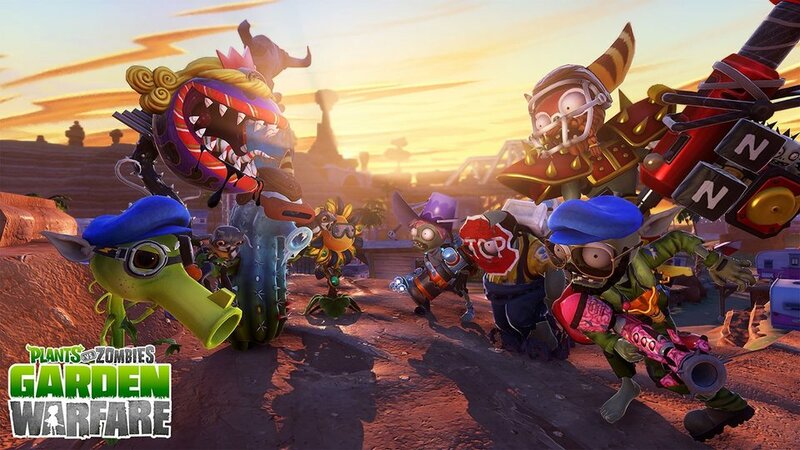 You choose to play as either the plants or the zombies, and then face off against others in multiplayer combat with three modes: a 4 player co-op mode as well as split screen gameplay. It will feature an Xbox One Exclusive Boss Mode. If you care to see the game in action on the PS3/PS4, you can see it at Sony's E3 booth this June, where they will be showcasing it. If you'd like to see some gameplay now, you can checkout the video below. Personally, without owning a PS4, I can say that this is exciting news to hear, because more games is always good, right? For those who enjoy the series, this will be something that can be added to their collection, and those who don't, well you can't say that new games aren't coming to the PS3/PS4. For now, you will just have to wait until late August to get your hands on the game, or go out and purchase it for one of the various system that it's already been released on.